There's a moment in every hero's life when they will choose to either become a savior of humanity... or a villain. If you take the champion's road, yours will be a journey of sacrifice and loss. If you take the villain's road… well, let's be honest, the dark side always has way more fun. Anyway, we're not hear to talk about heroes. We're here to be bad! 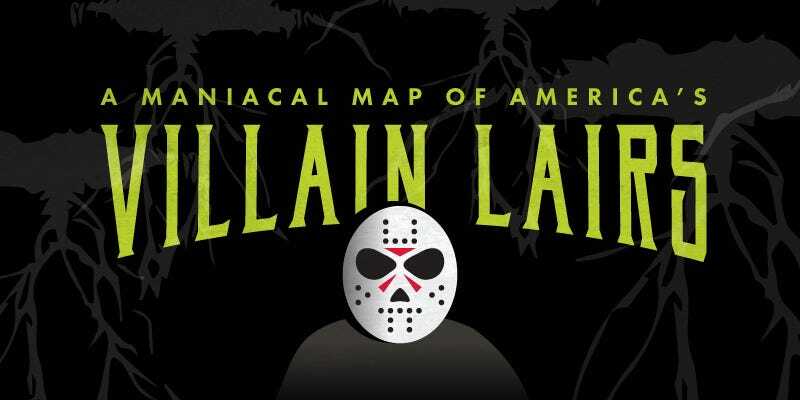 Leave your honor and duty at the door, good-guys, because we're hitting the road to visit the dark side with this map of America's most infamous Villain Lairs. Mwahaha! Did we miss any? Let us know in the comments below, and if you're looking for more evil, villains, and all-around horror, check out Roadtrippers guide to Horrorville, USA!